Sling TV has joined the streaming family for the Oculus Go. It comes as a free download on the Oculus Store and uses the Oculus TV app to work. There are over 100 live channels available on Sling TV for you to stream right on your Oculus Go. Since it uses the Oculus TV app you'll be pulled into that familiar virtual living room with a 180-inch TV to watch these amazing titles! While the app is free to download to your Oculus Go the services that Sling TV provides are a monthly subscription. For $30 a month you can get Sling Orange and that comes with 30 channels including ESPN, Disney Channel, AMC, TNT, TBS, CNN, A&E, History, and many more! The best part? If you buy and activate your Oculus Go between December 17, 2018, and January 15, 2019, you'll receive an $80 credit toward a Sling TV subscription! So what kind of services does Sling TV provide? Besides being able to watch Live TV from any of your favorite devices you can also record your favorite shows. You can record multiple shows at once and keep the recordings as long as you're a customer with Sling TV. If you're watching these recordings later on feel free to fast forward through the commercials and get back to the content you want to see the most! There's a free seven day trial for you to check out this subscription without any strings attached. You'll have to manually cancel the subscription before the end of the seven day trial if you decide the service is not for you. There are no long-term contracts or hidden fees for you to worry about. If you want to cancel your subscription at any time you can. Instead of reimbursing you for your last payment Sling TV will honor your subscription for the duration of that month and not charge you for the next month. When that next month comes you will no longer have access to Sling TV. 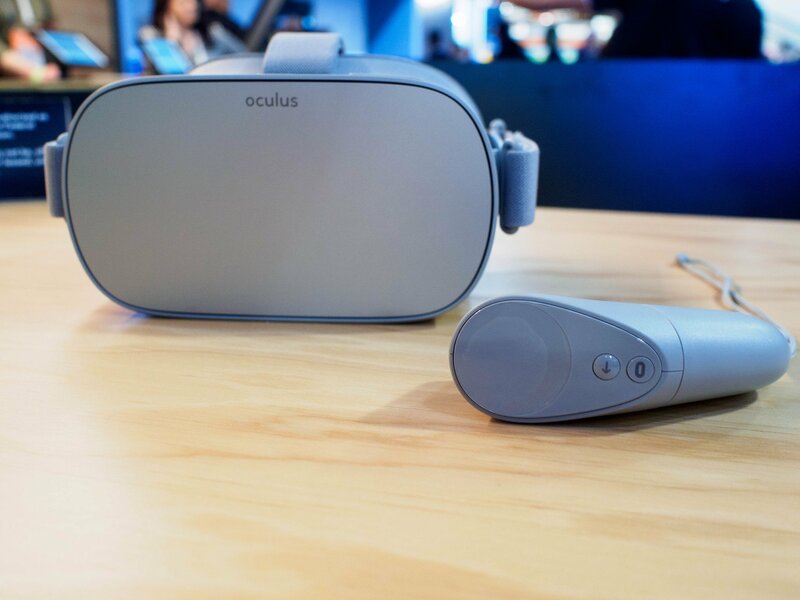 64 GB of memory is the best option for buying an Oculus Go headset. You'll have plenty of memory space for up to 7 downloaded HD movies or 40 games. Take advantage of the 2560x1440 resolution and 3 DoF by experiencing your games in a whole new way with this standalone headset!